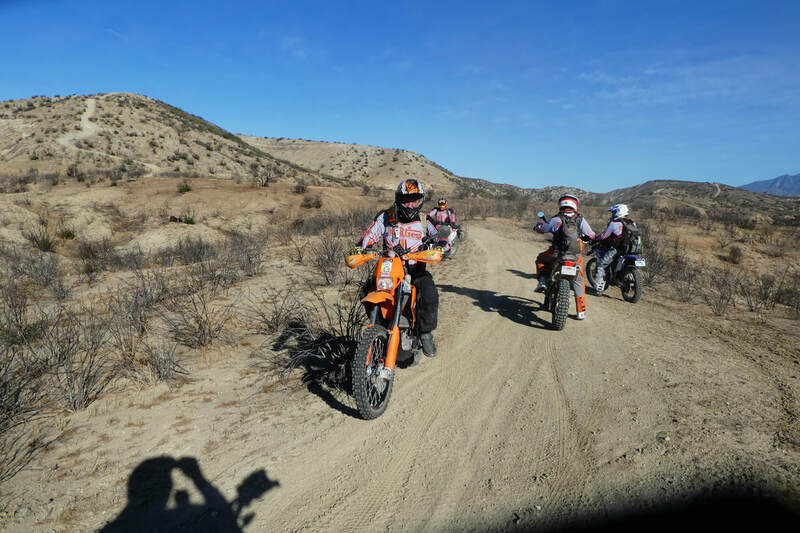 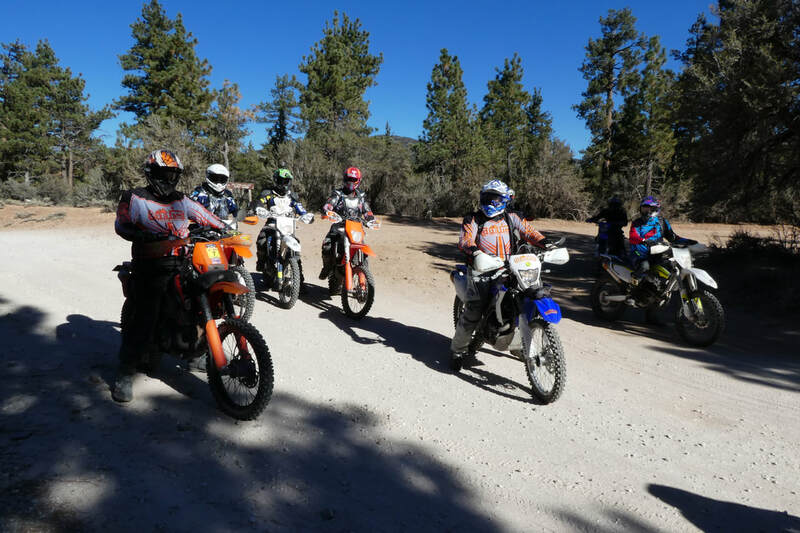 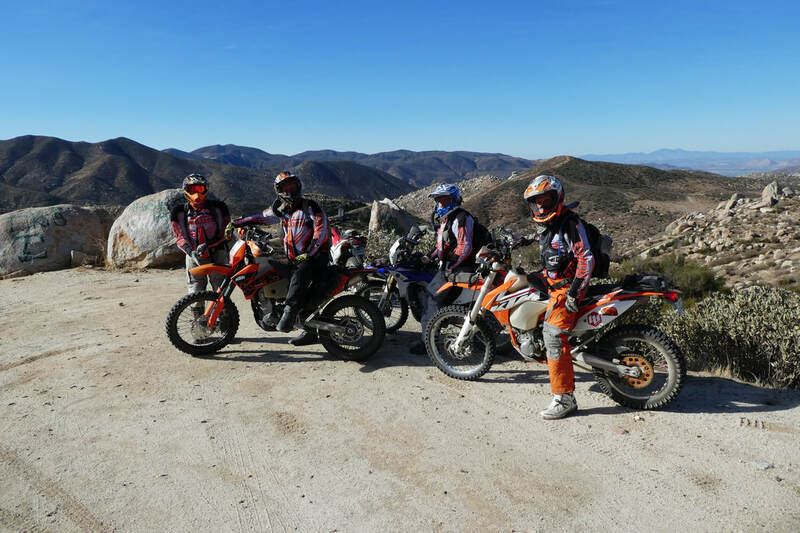 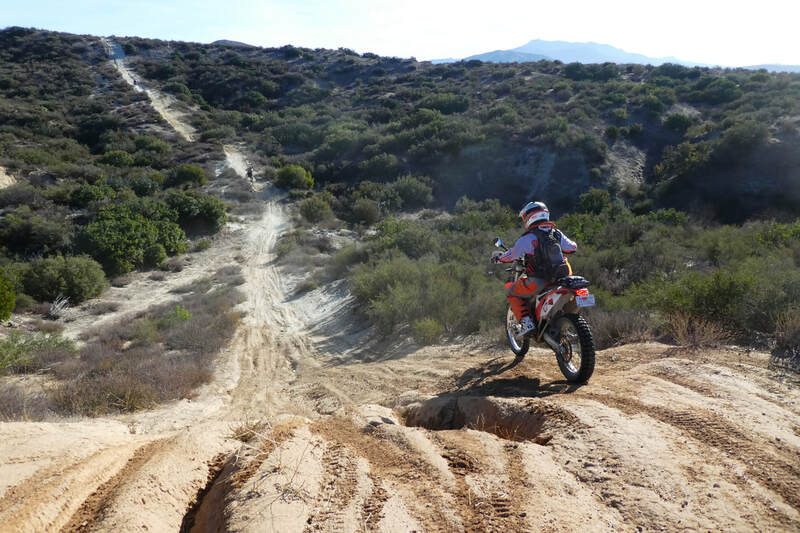 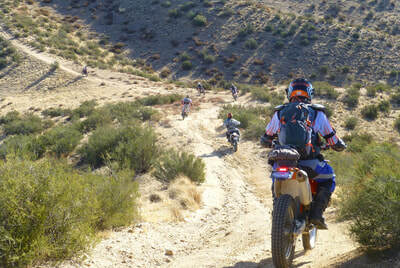 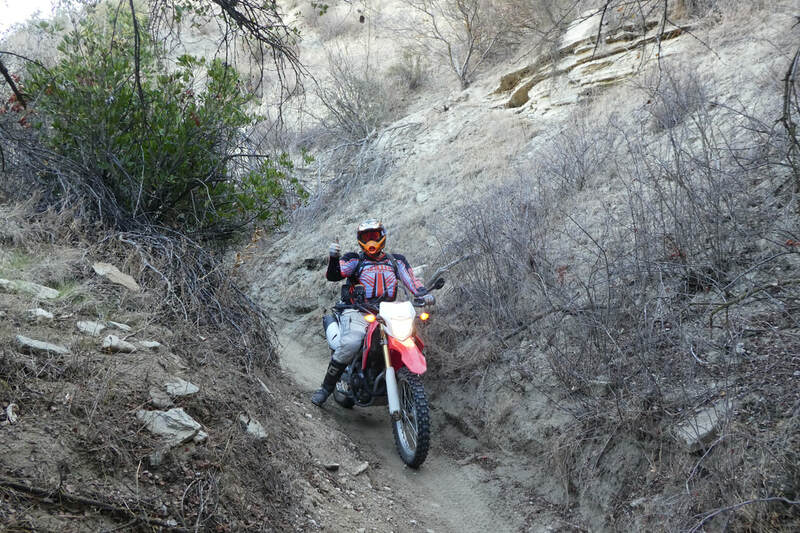 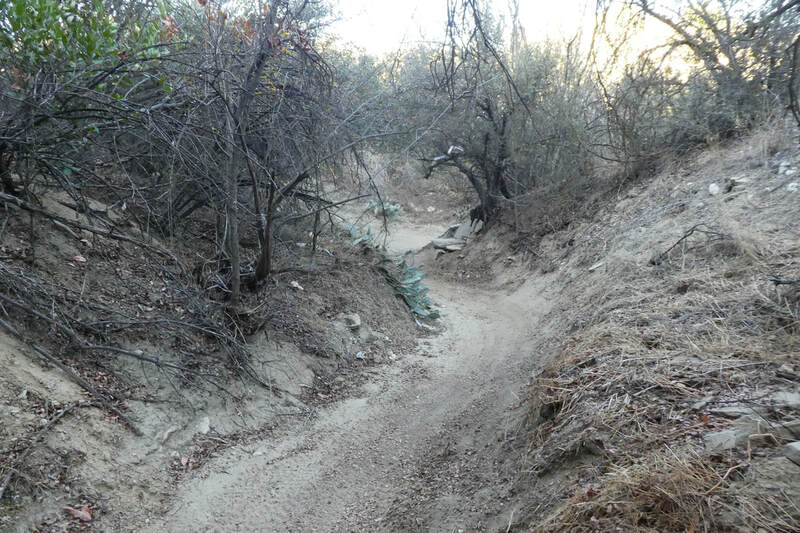 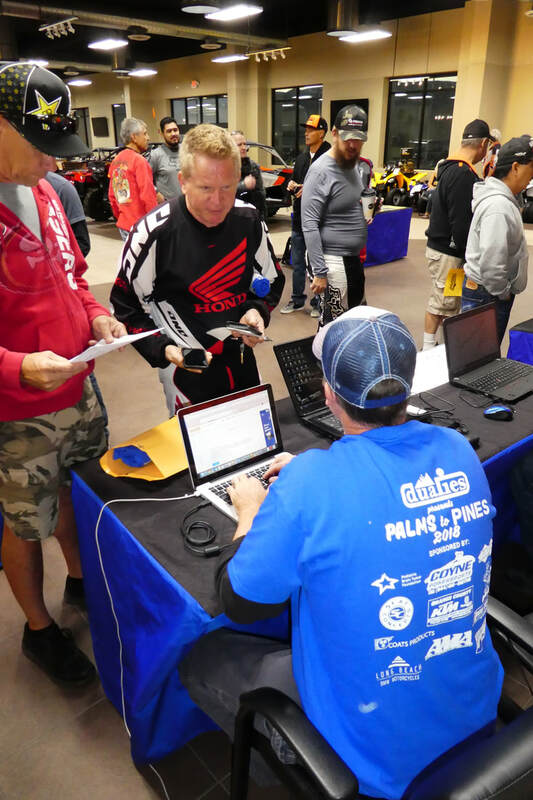 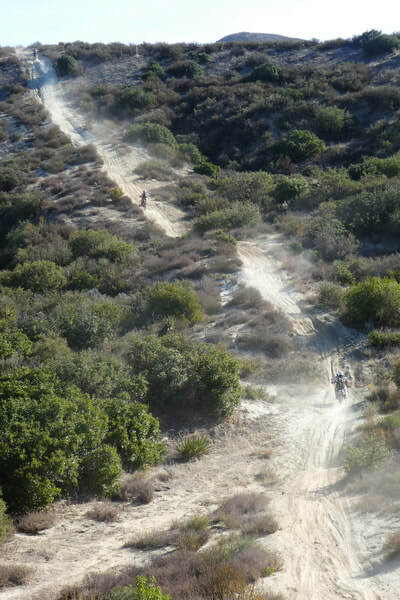 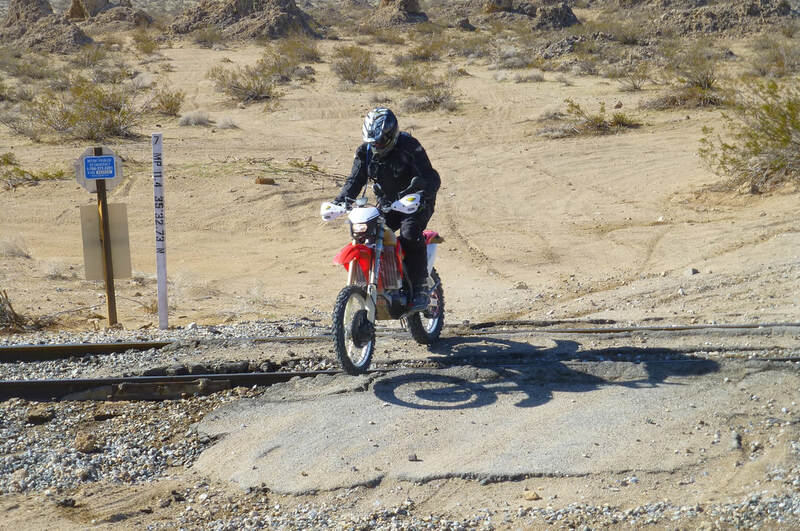 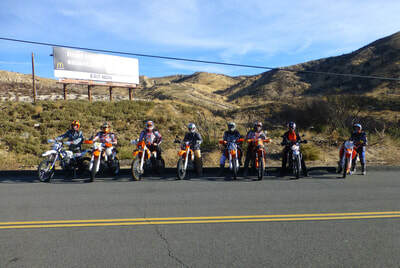 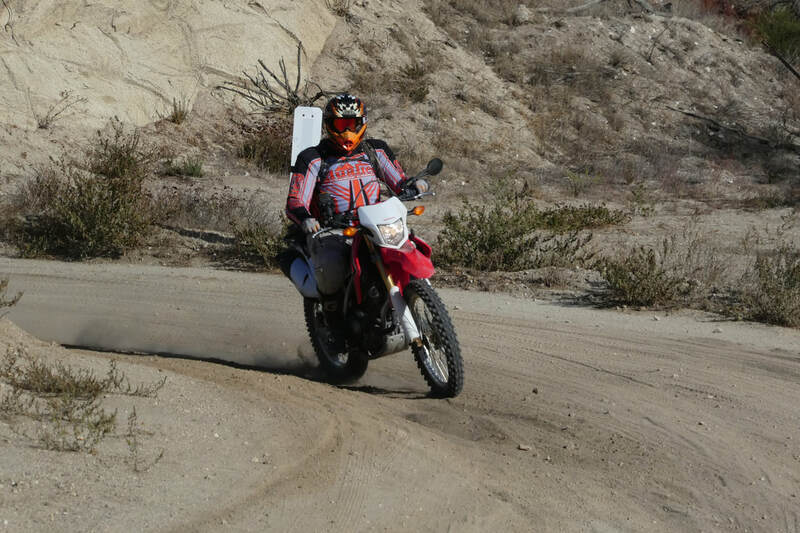 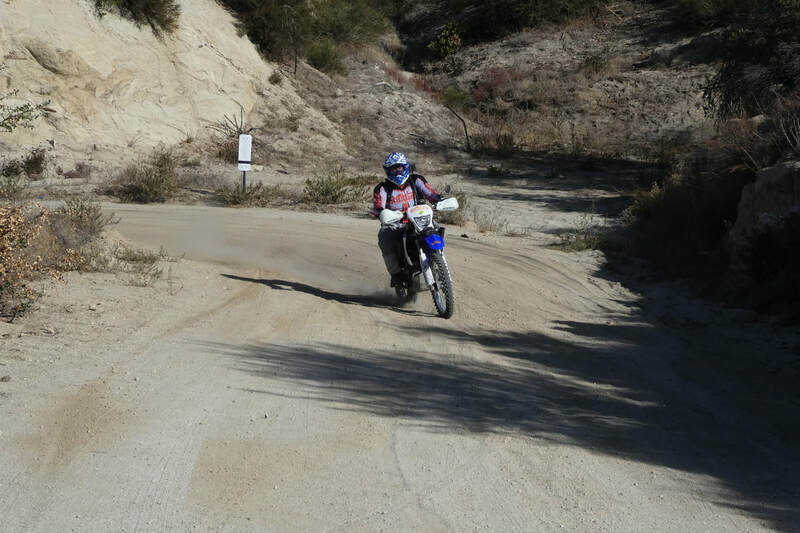 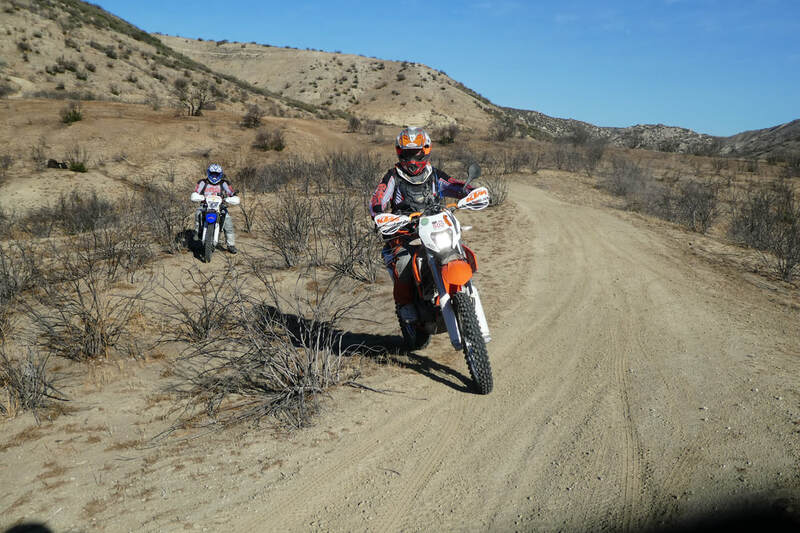 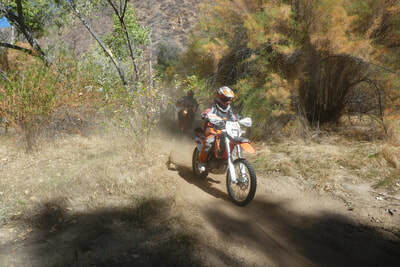 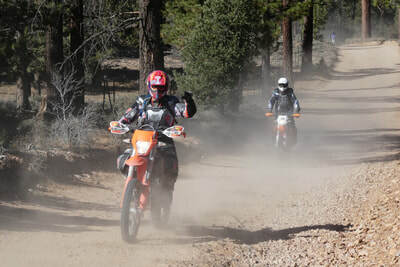 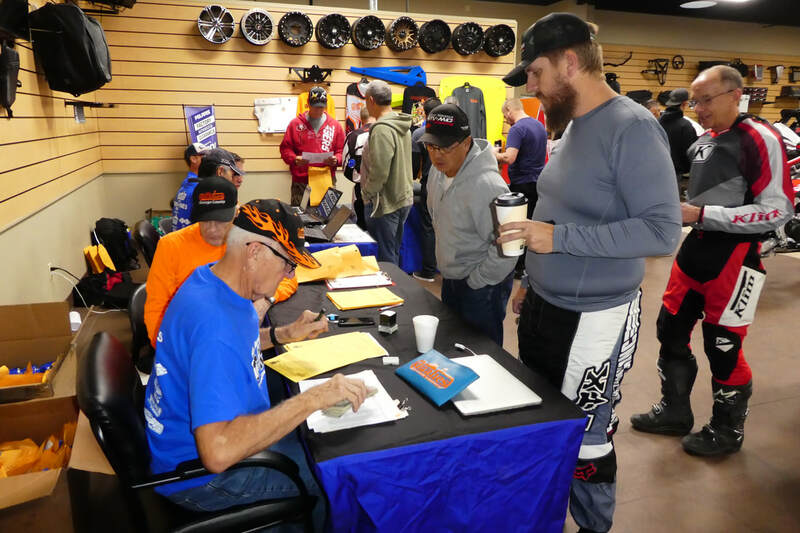 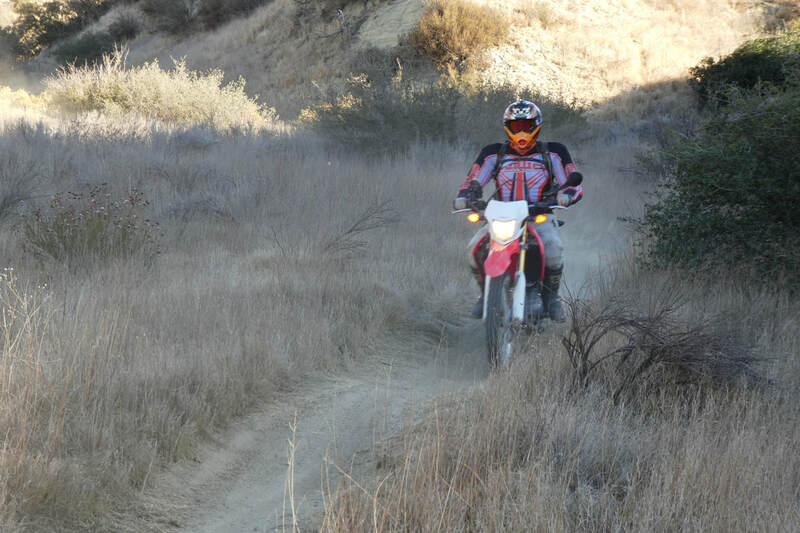 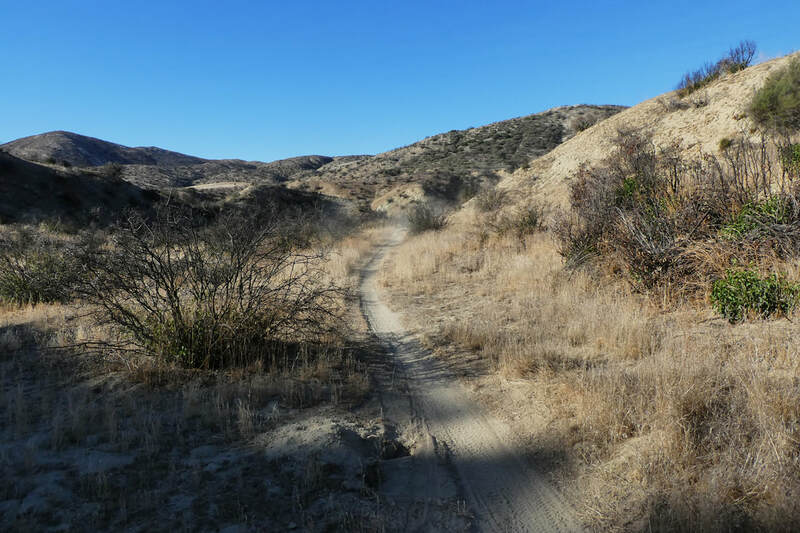 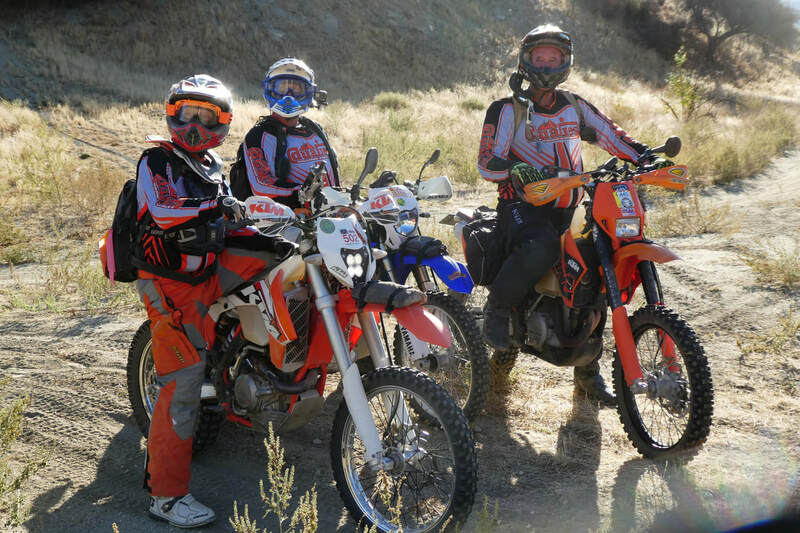 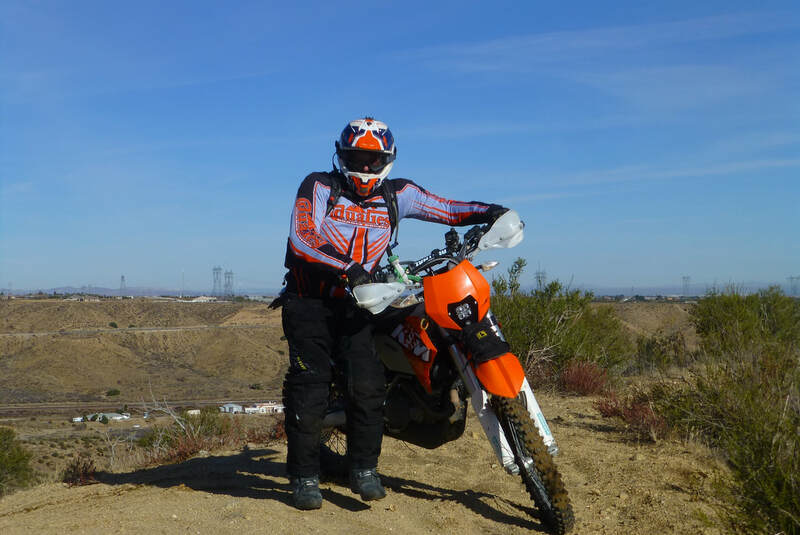 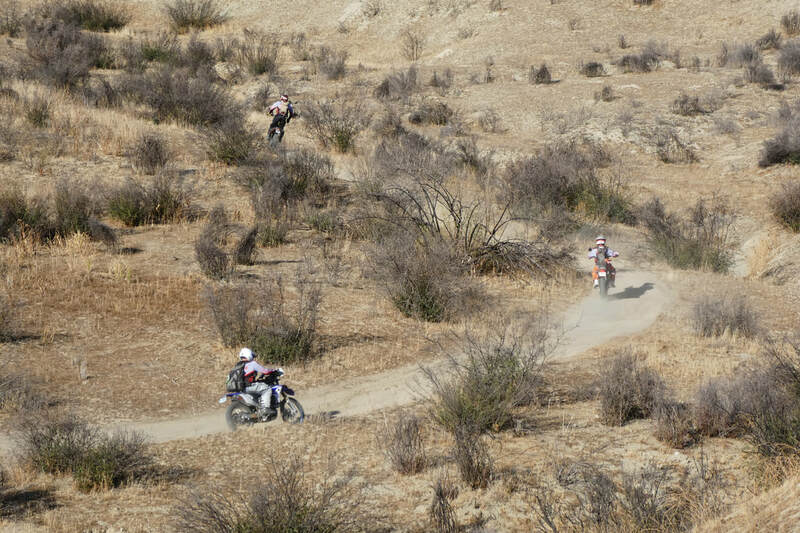 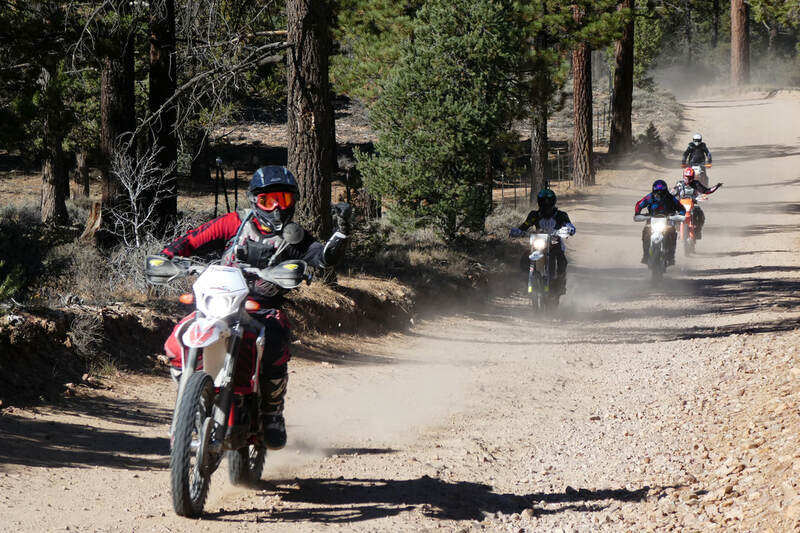 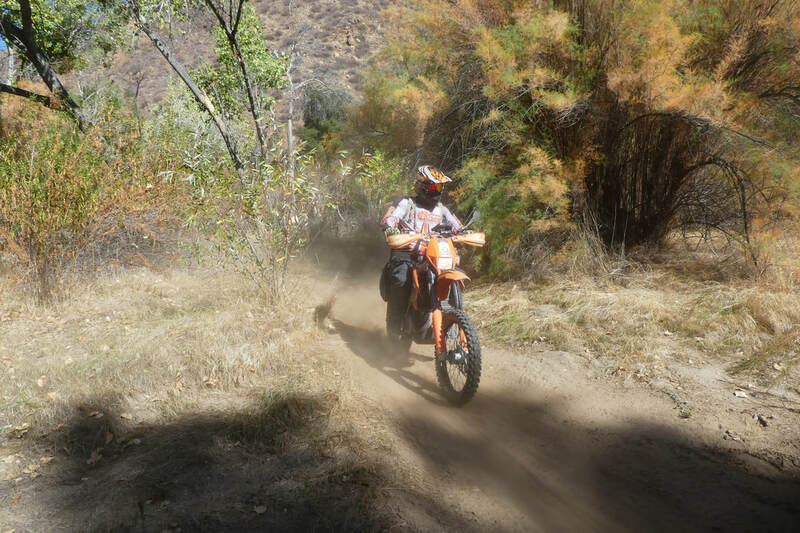 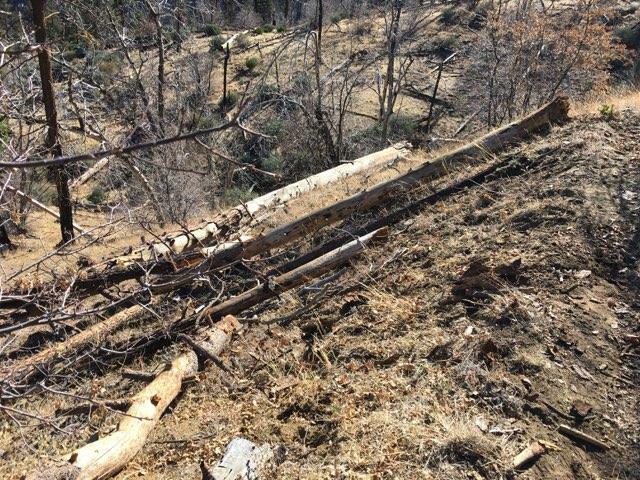 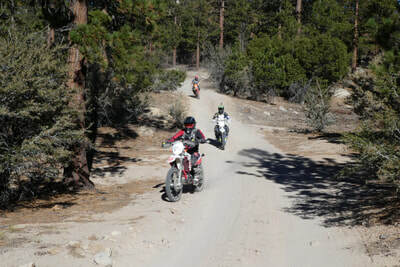 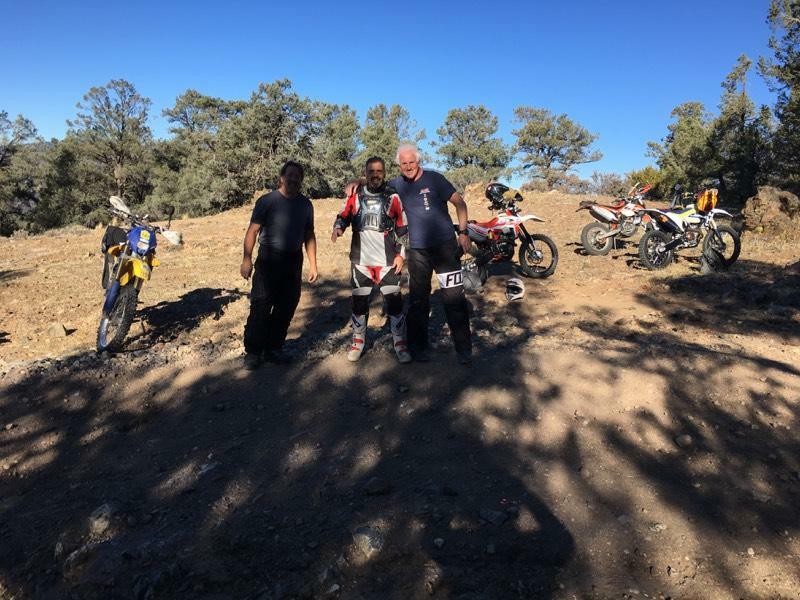 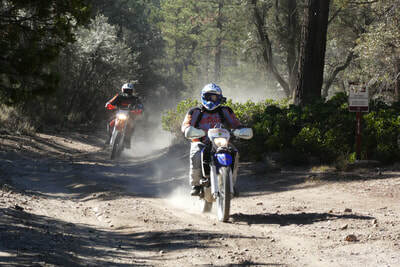 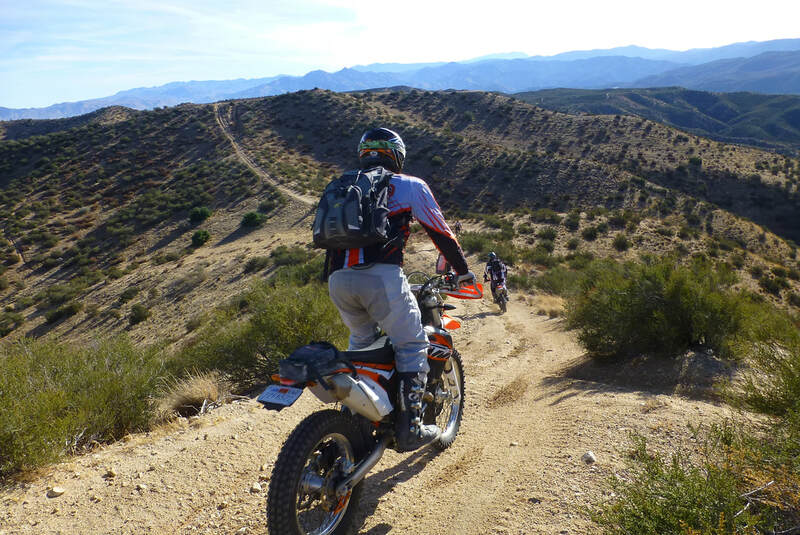 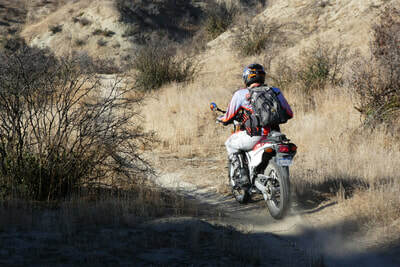 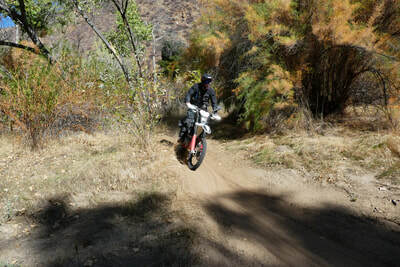 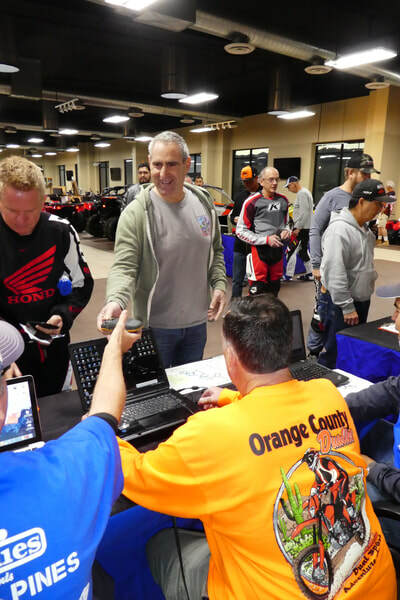 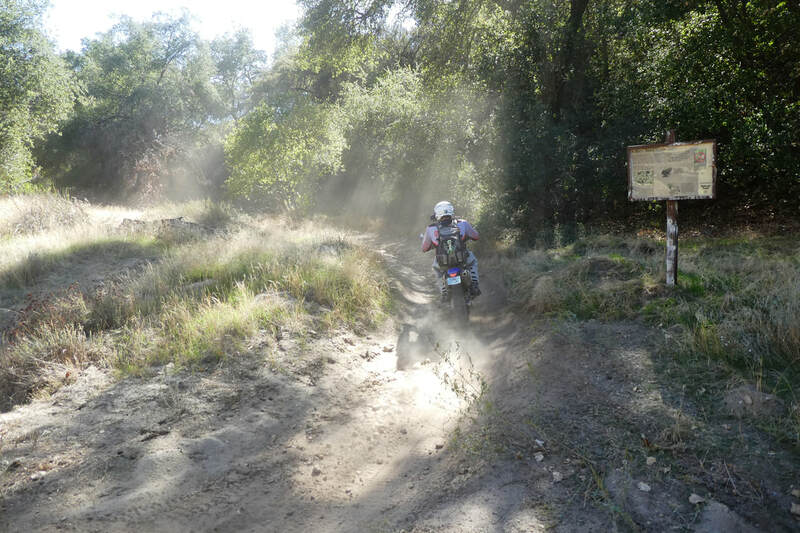 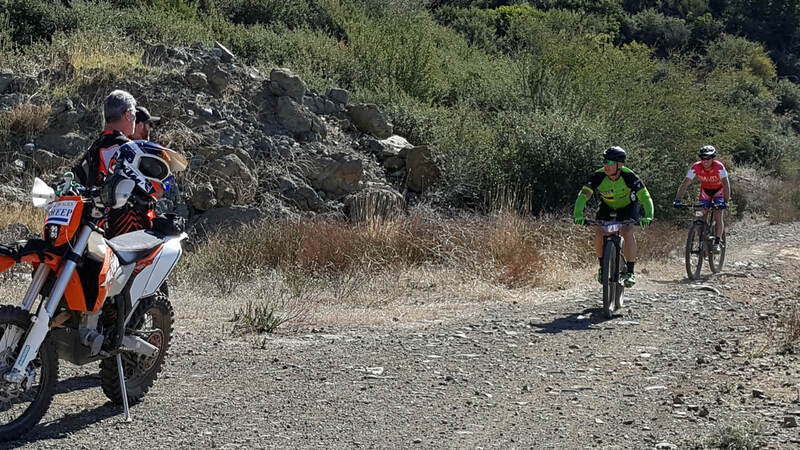 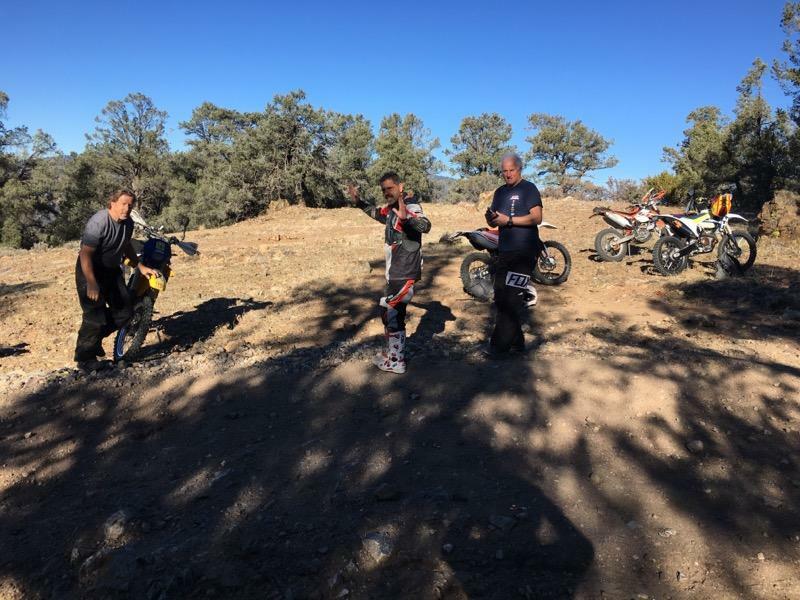 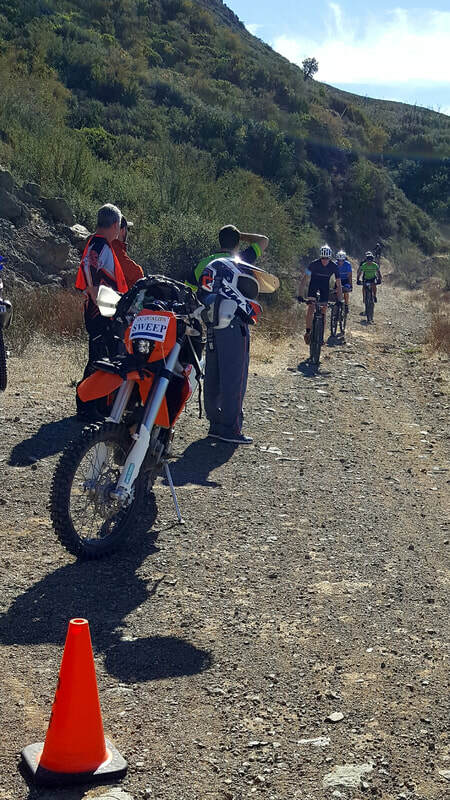 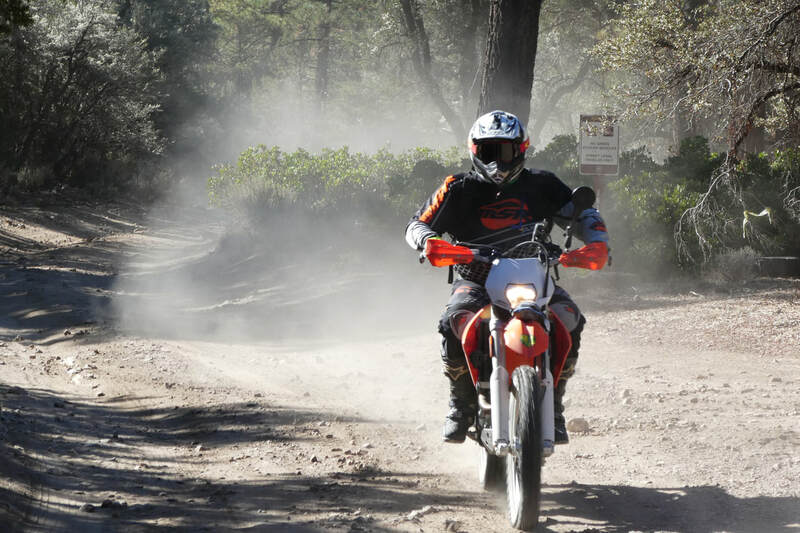 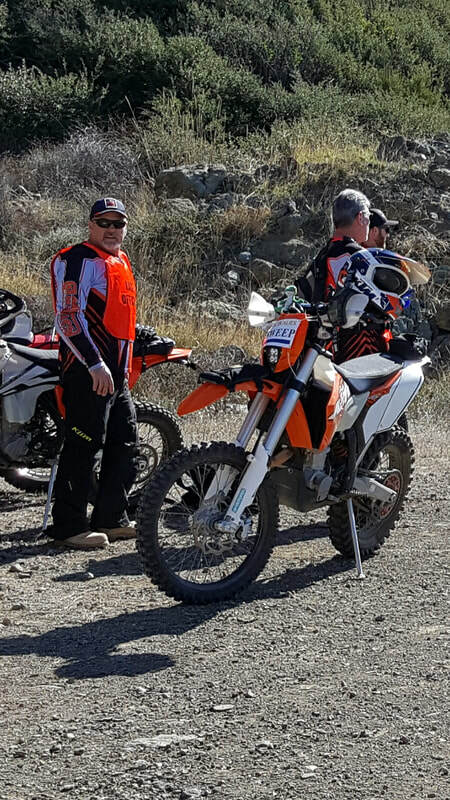 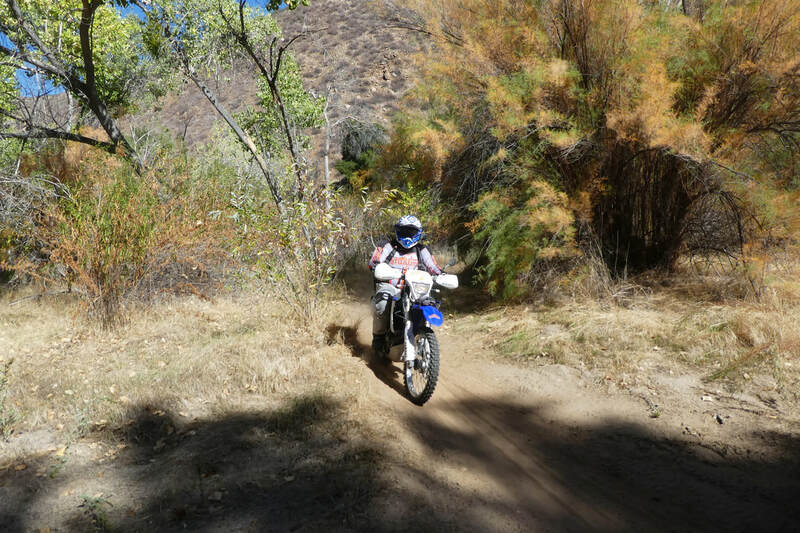 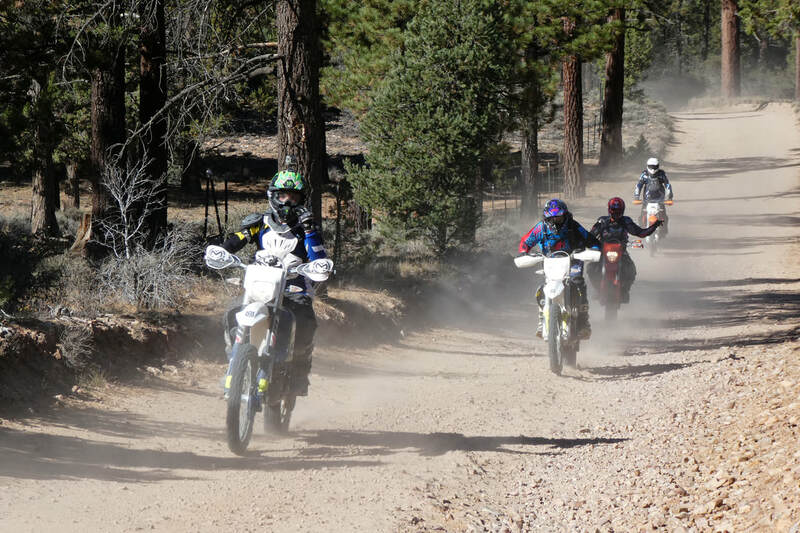 We had 5 OC Dualies assist with riders supporting the SAWE Harding Truck Trail time trials race which runs from Modjeska Canyon to Middle Divide road, and is normally closed to motorcycles, but is open to Dualies who will run sweep for the bike race. 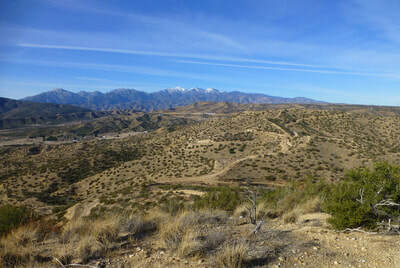 The Harding Truck is a long climb up of nearly nine miles andis quite strenuous gaining a little over 3,000 feet in 8.9 miles. 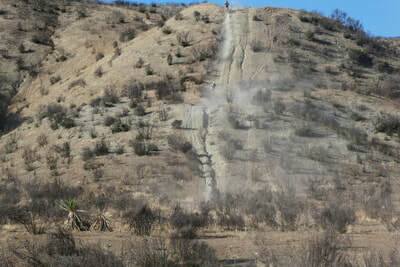 Winning bike racers do this ride in under an hour. 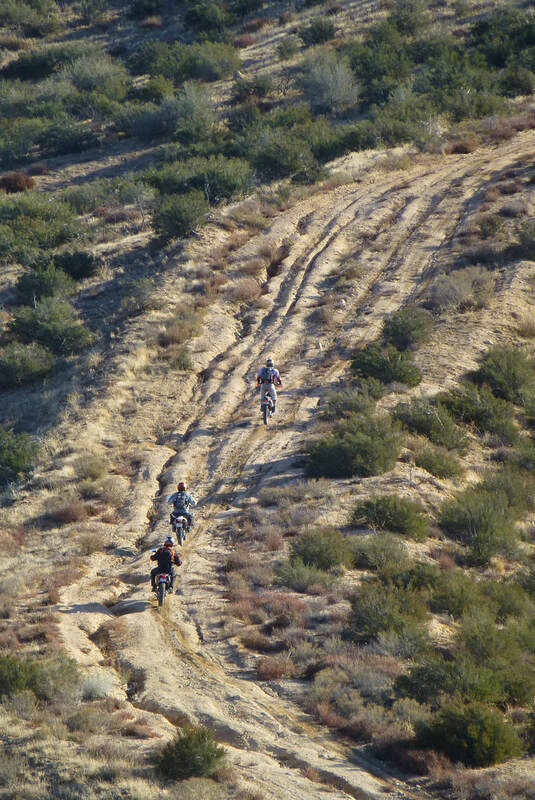 The riders and the Dualies had no falls, bums or bruises. 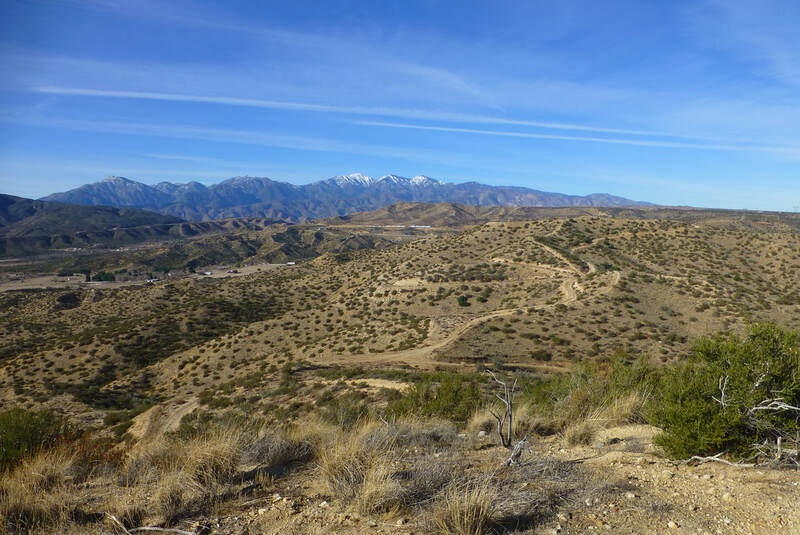 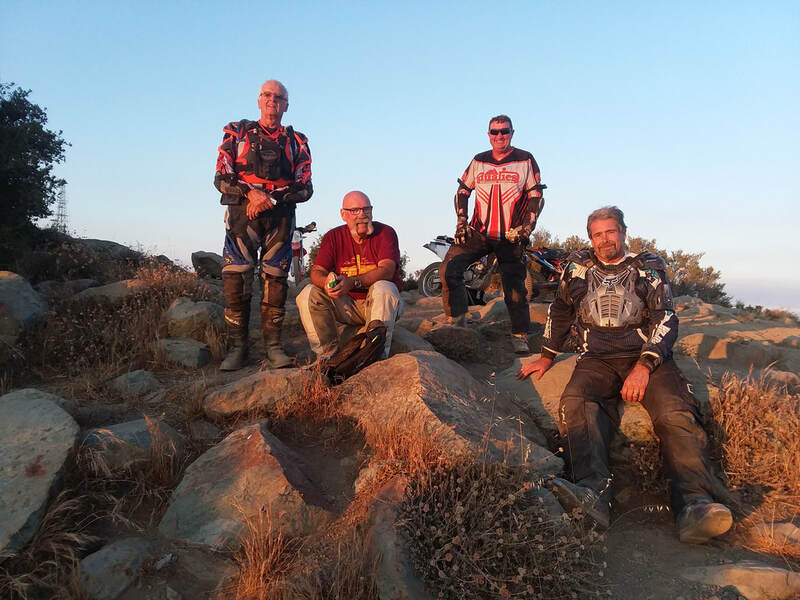 Afterwards, 4 of us took a spin up to the overlook of Lake Matthews on the Inland Empire side to brush off the cobwebs and then down Silverado Canyon to Santiago Road. All together it was a good event and fun for all. 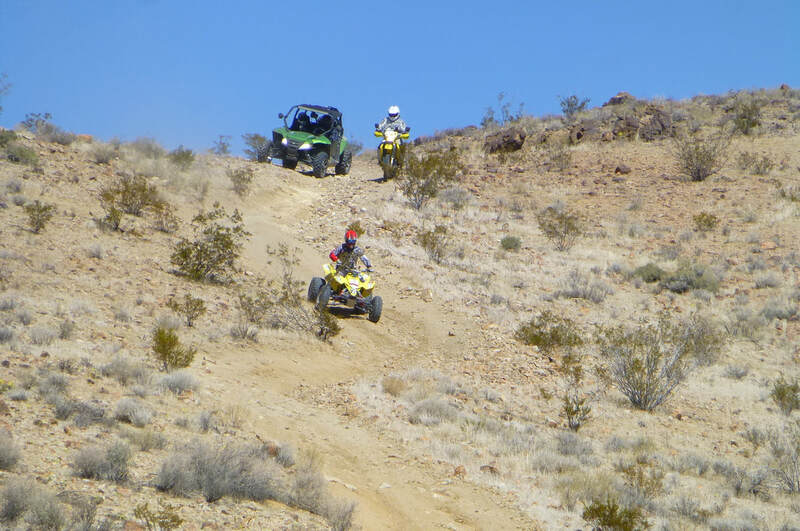 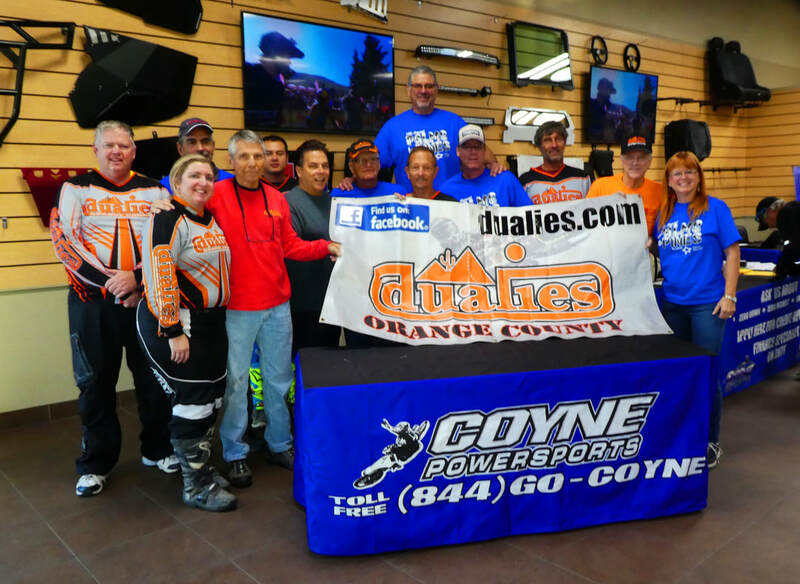 ​On 3-24-18, we had an OC Dualies club ride in the Spangler Hills area. 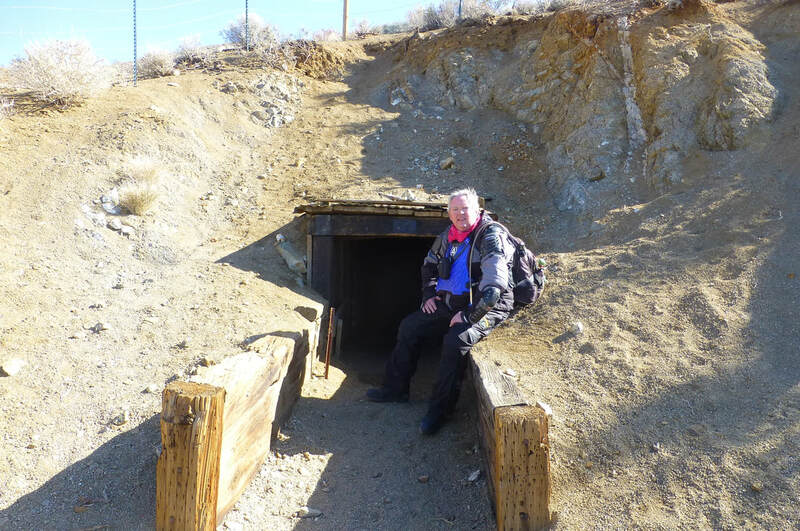 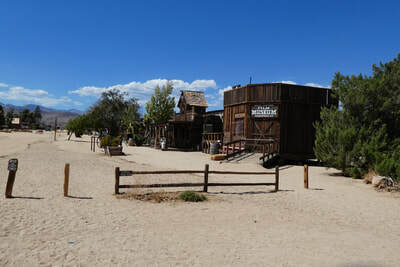 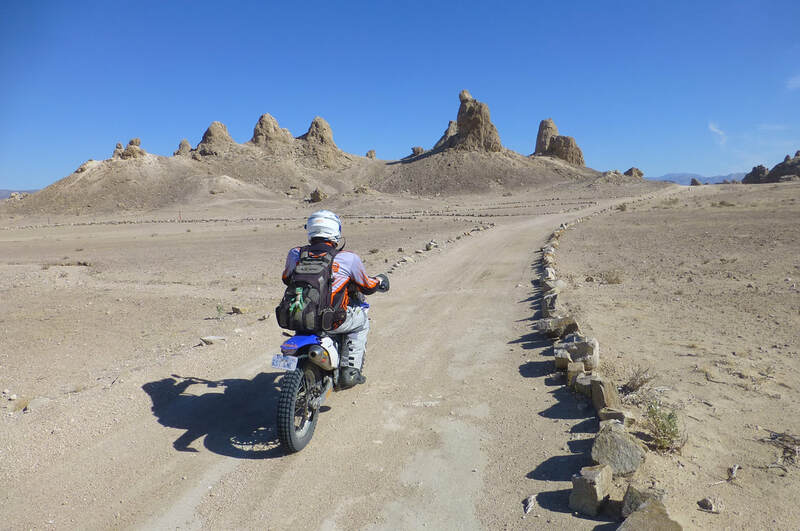 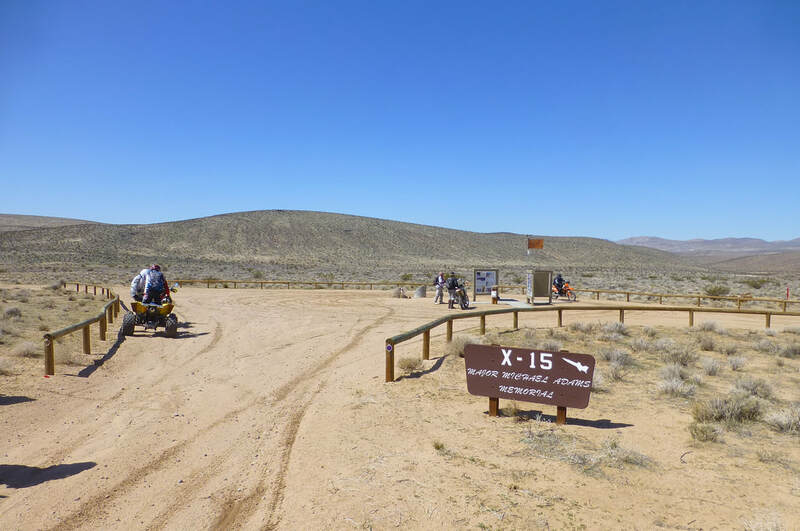 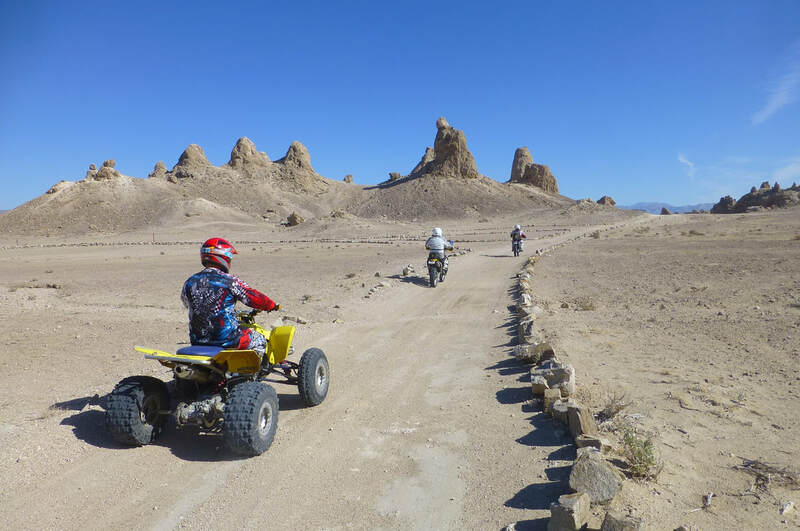 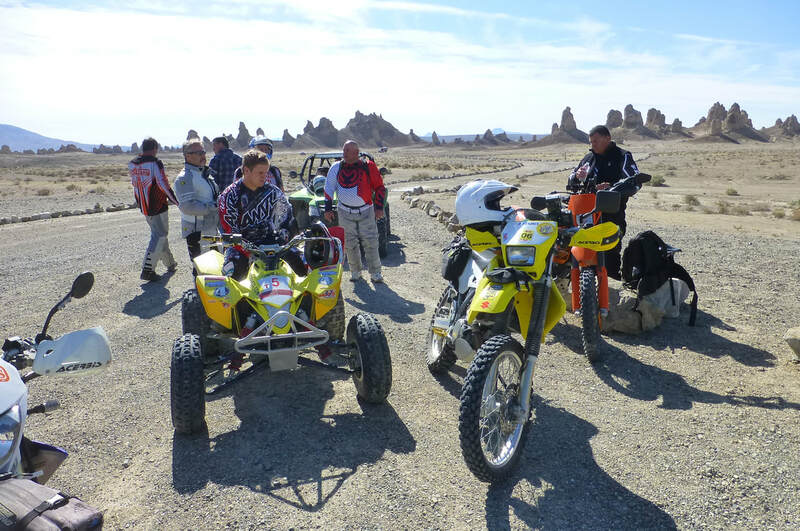 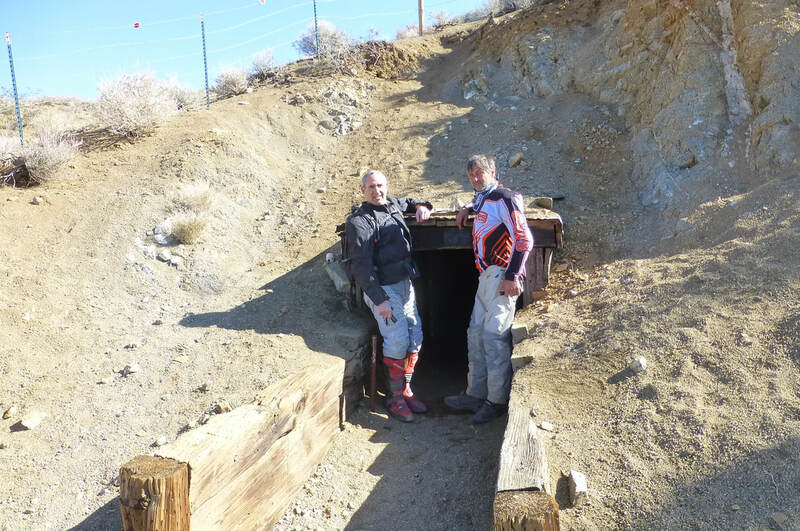 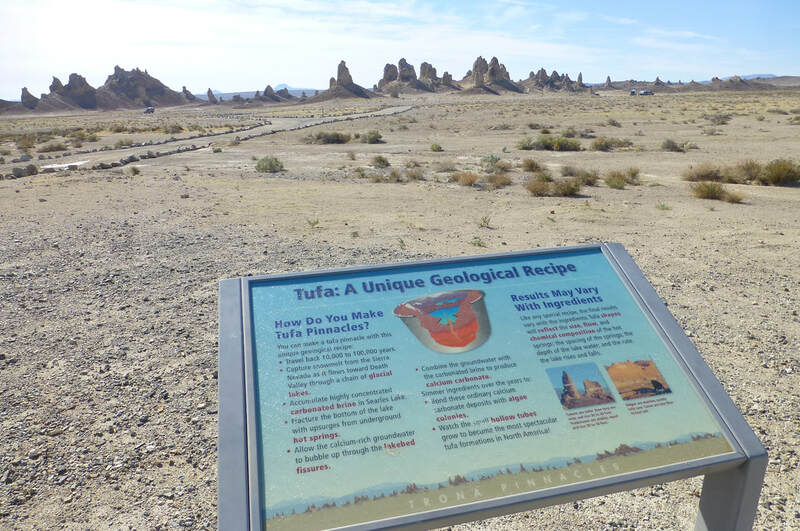 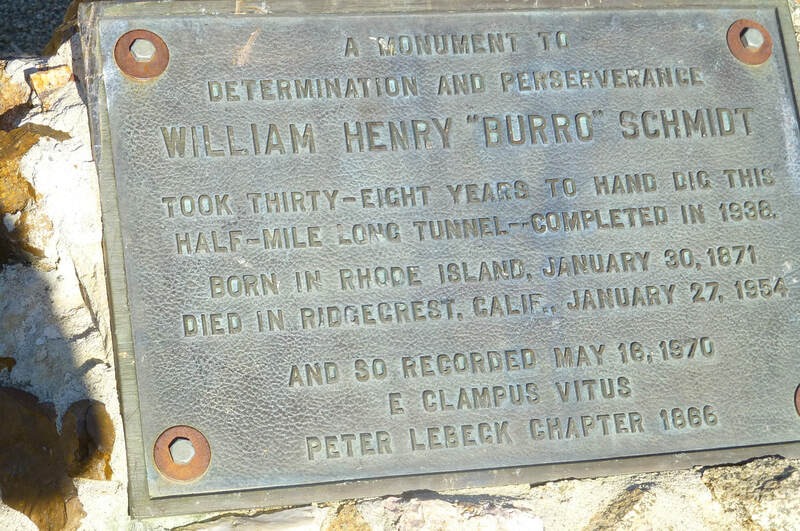 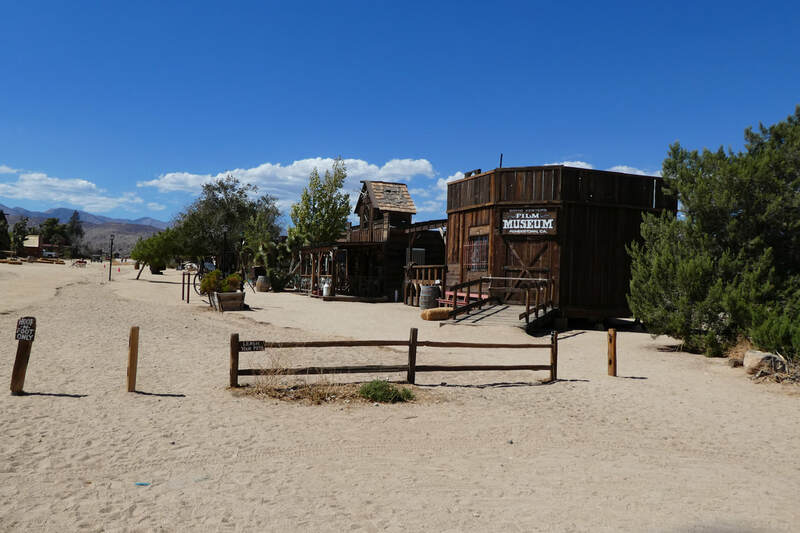 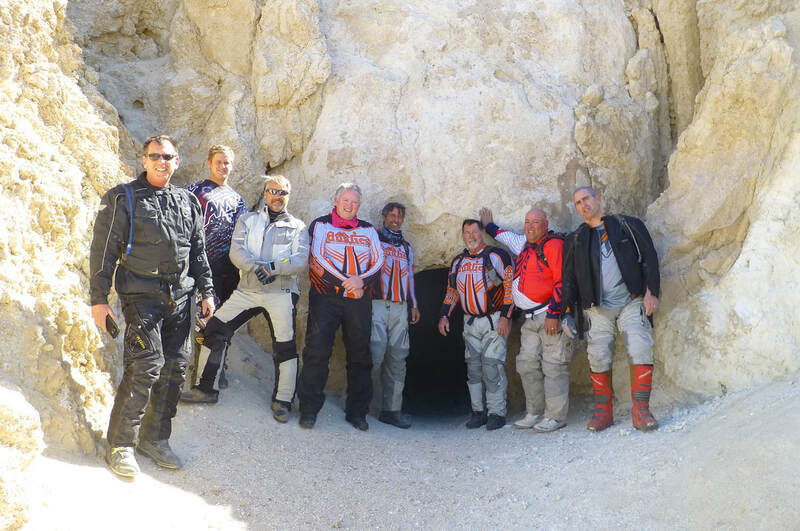 We rode to the Pinnacles, to the X-15 crash site, Randsburg, and to the Schmidt tunnel. 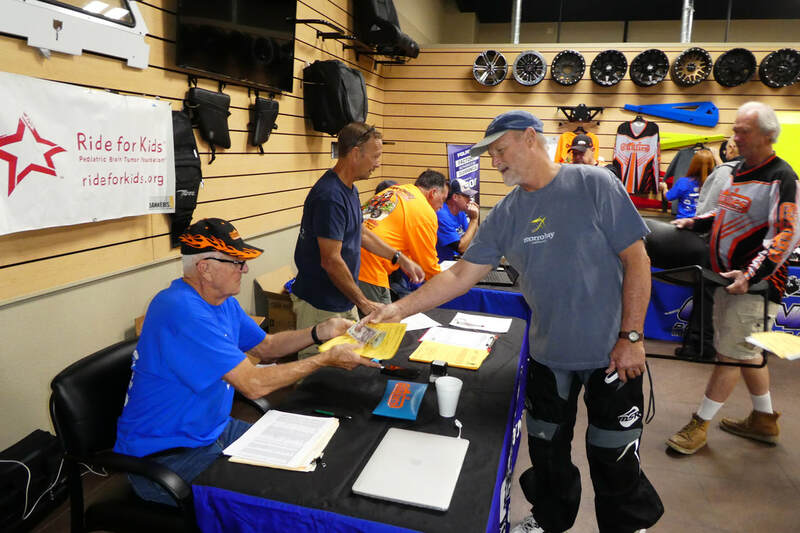 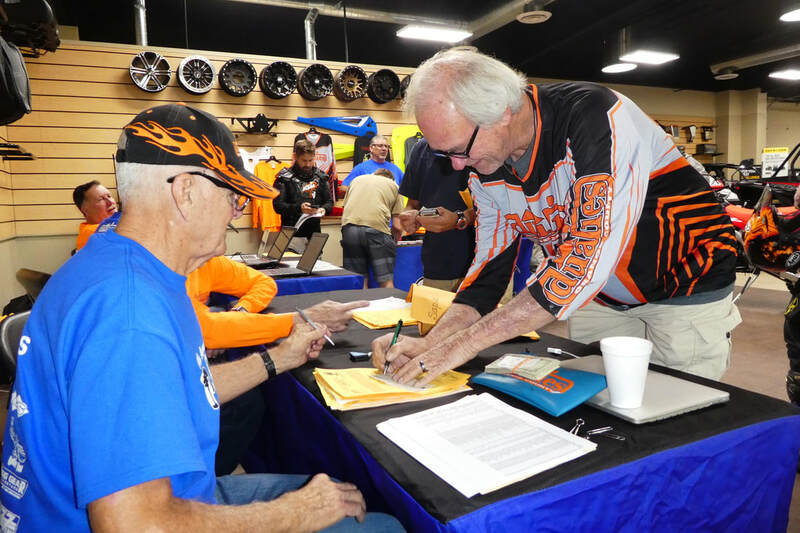 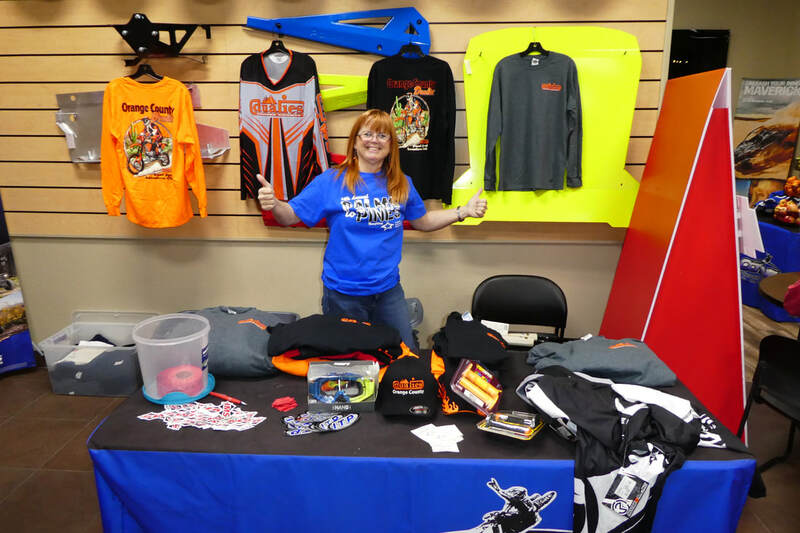 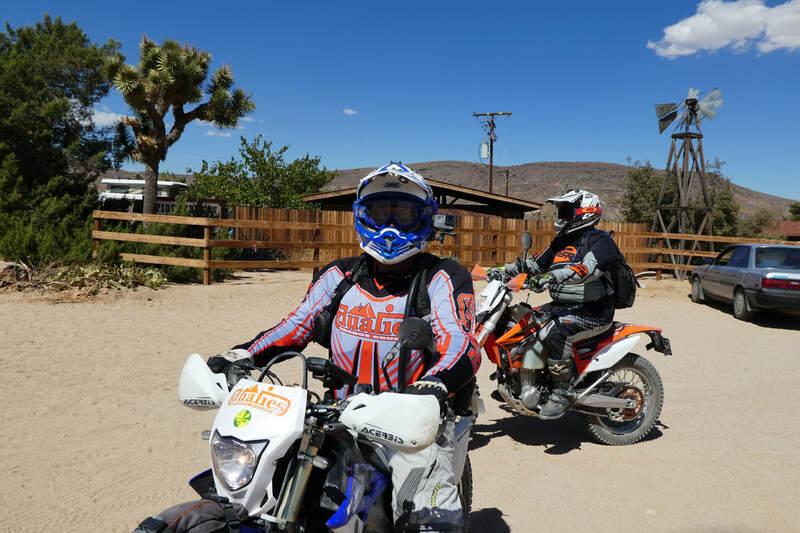 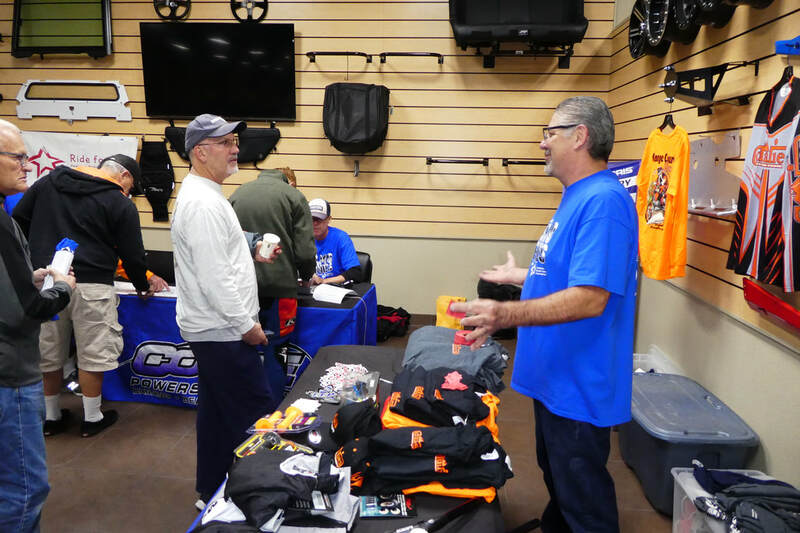 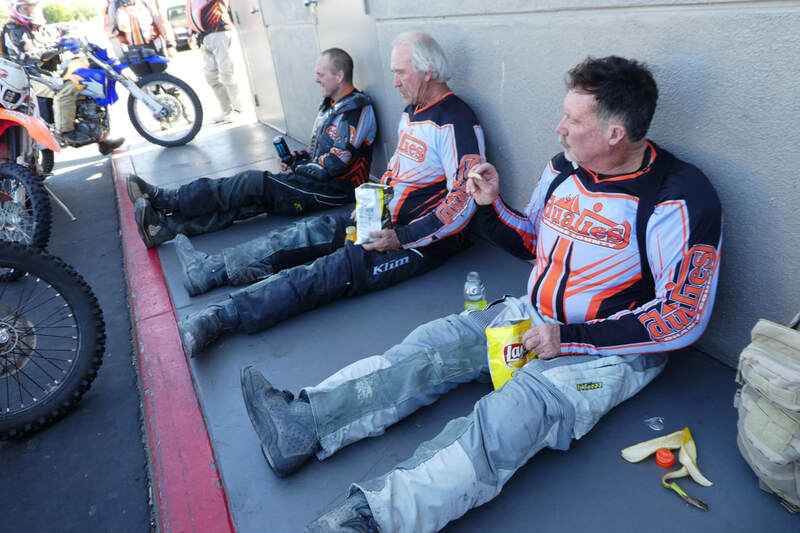 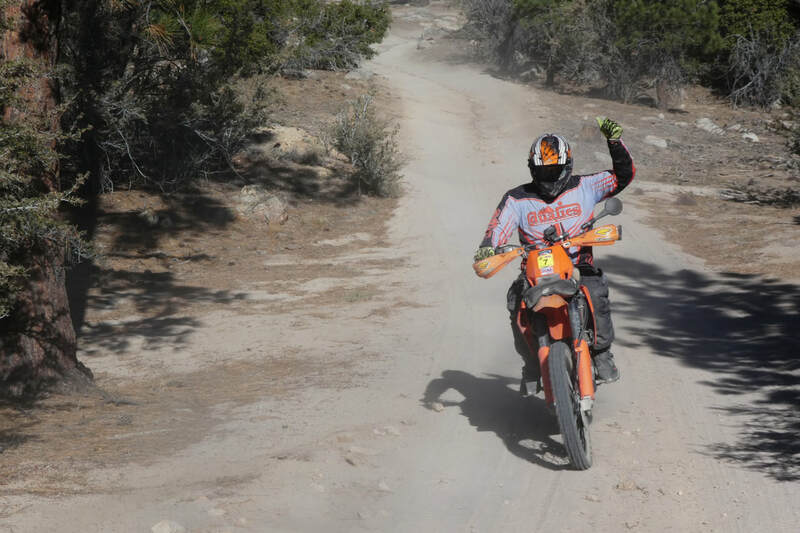 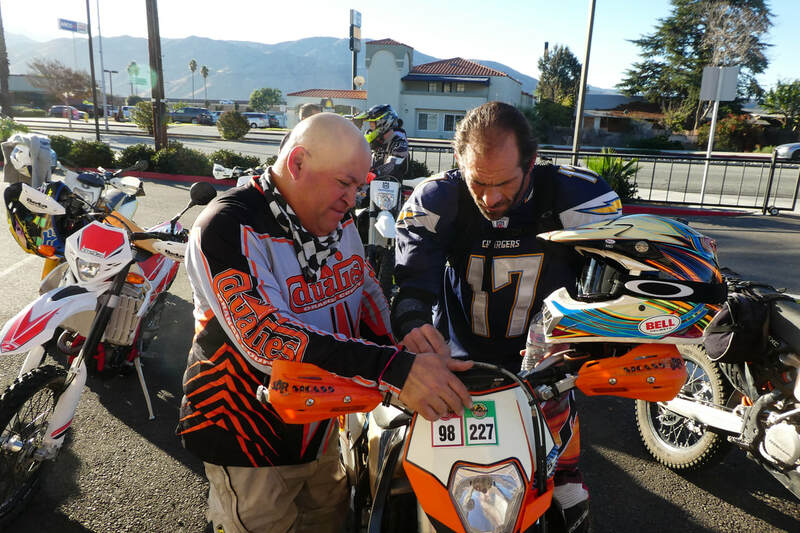 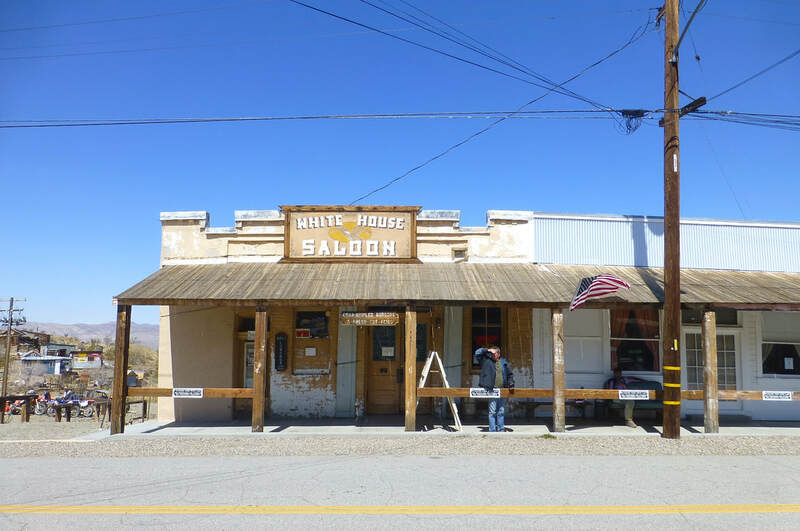 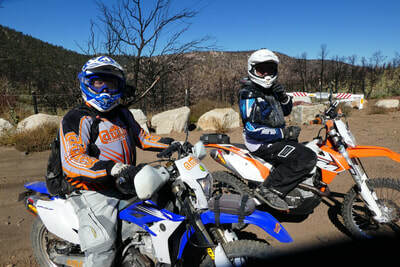 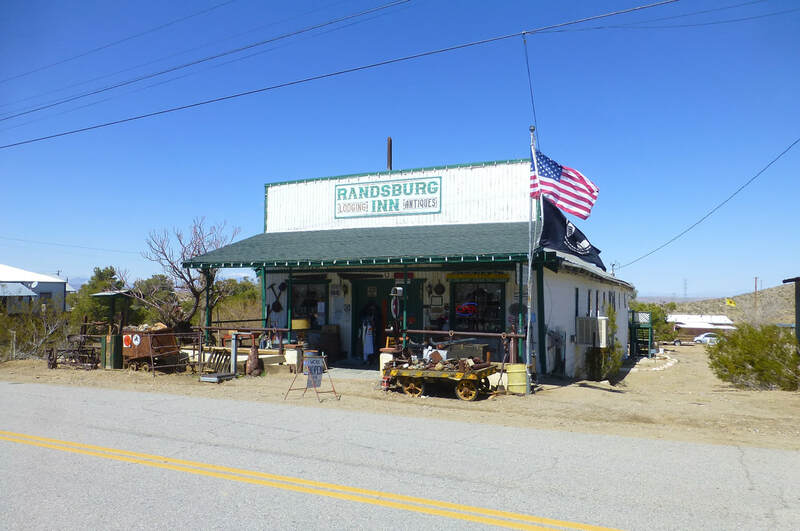 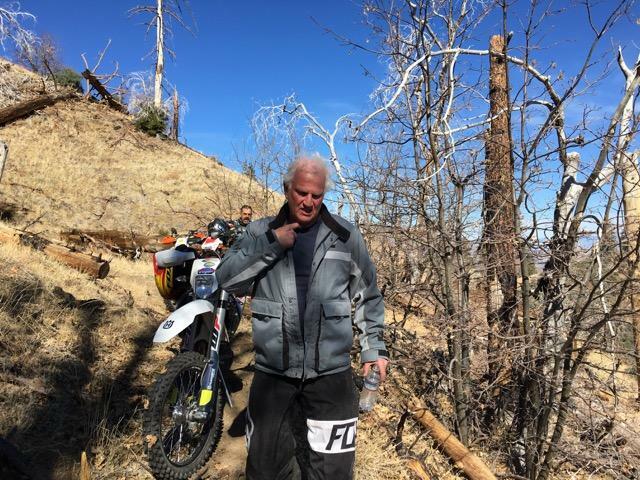 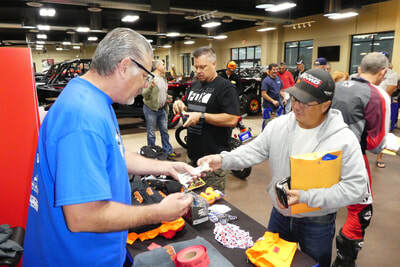 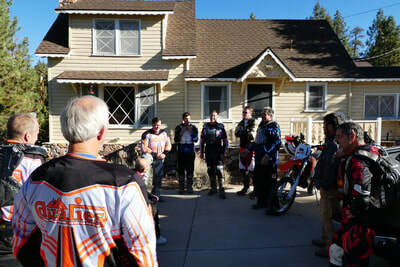 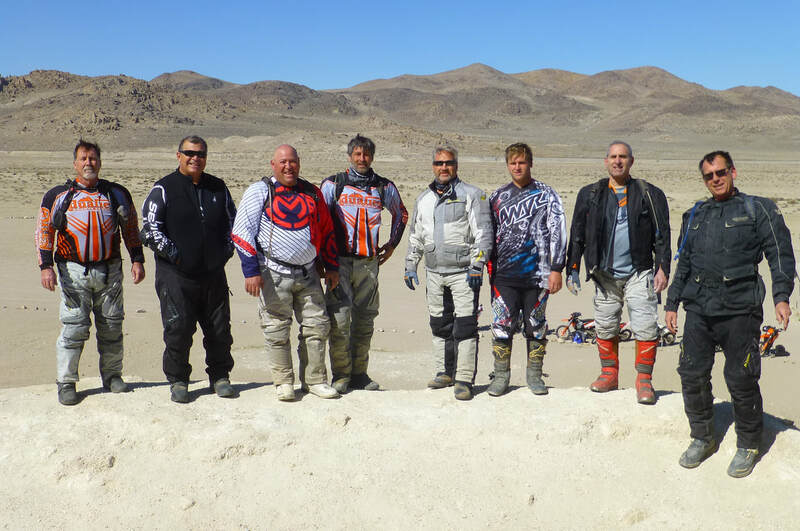 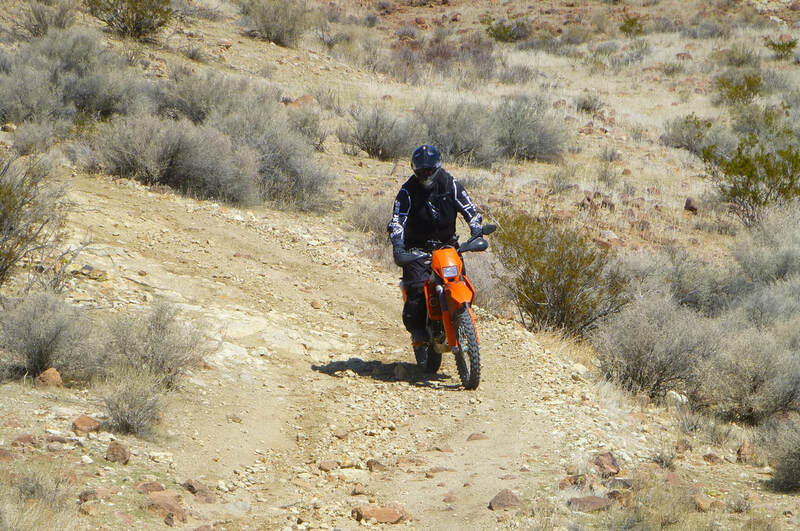 We ate lunch at the General store in Randsburg and visited with some of the riders at the Enduro Riders Reunion. 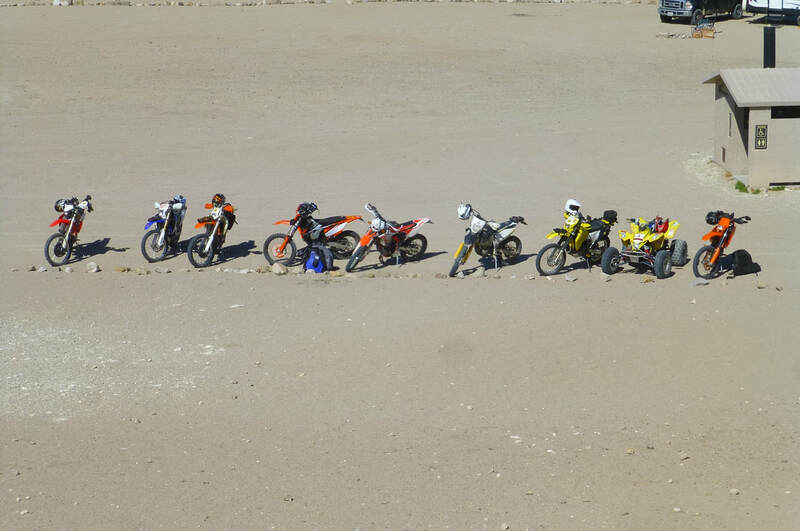 We rode 95 miles and had a great day of riding. 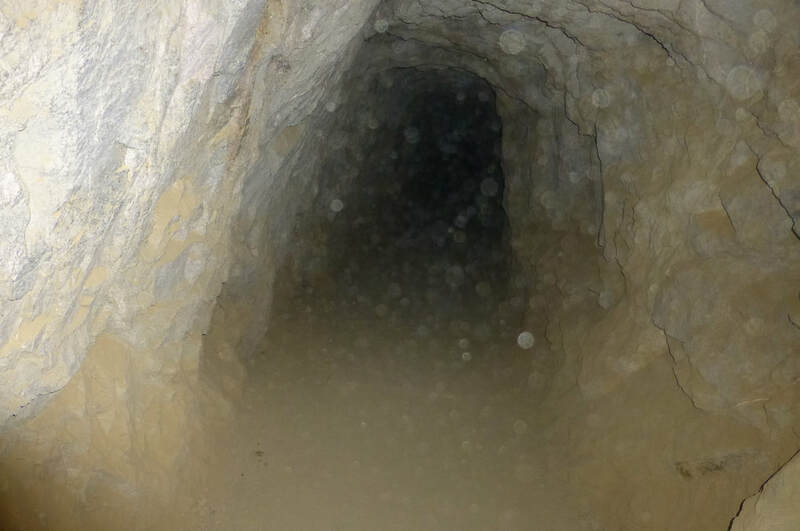 There was no dust and the dirt was perfect. 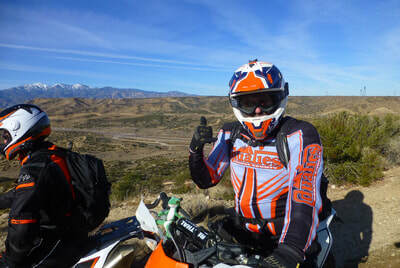 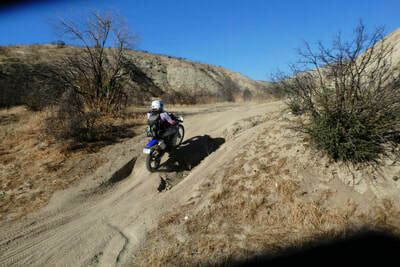 Check out these photos and get out and ride. 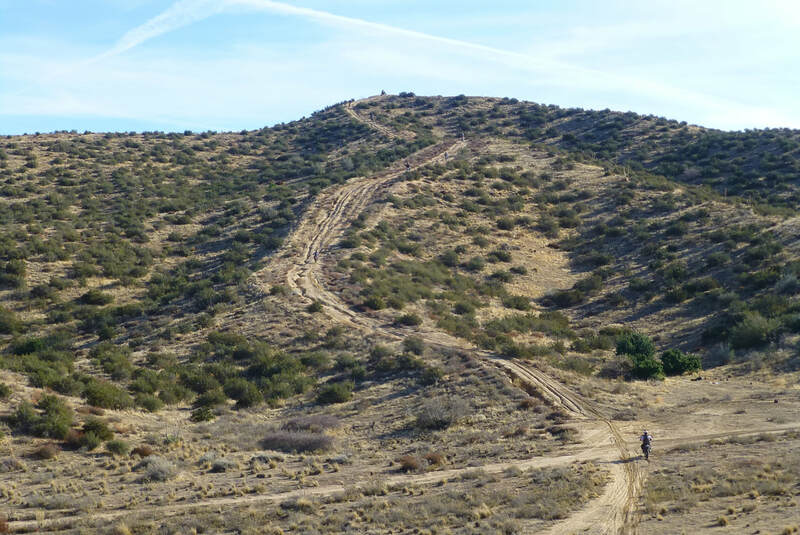 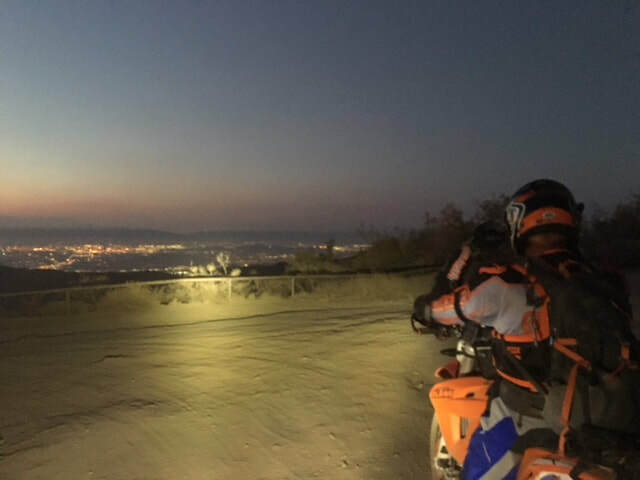 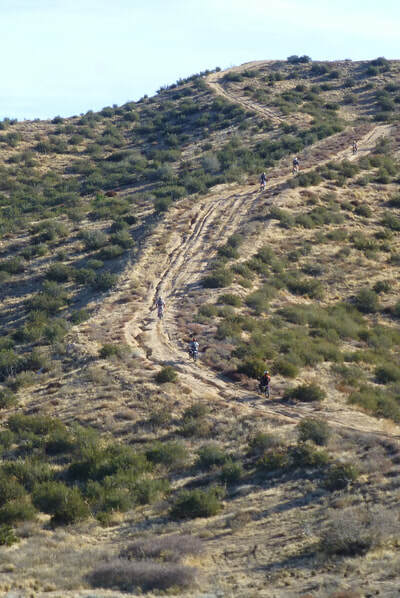 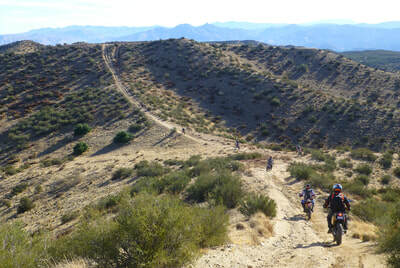 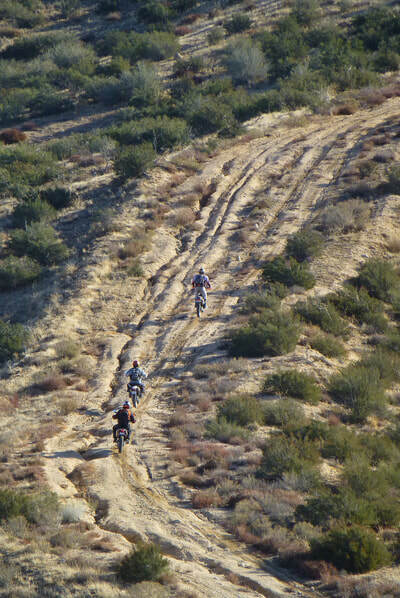 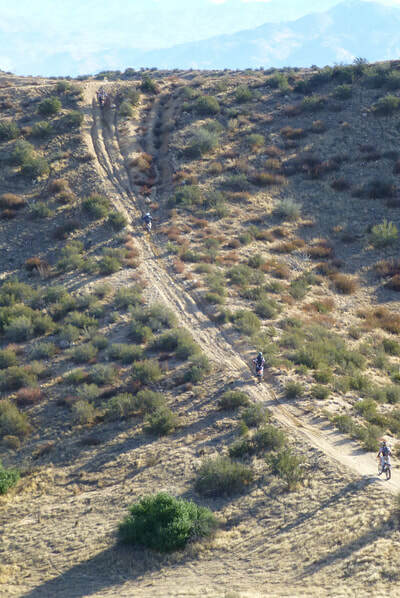 ​Lane lead a small goup of OC Dualies on a sunset ride up to the towers atop Santiago Peak. 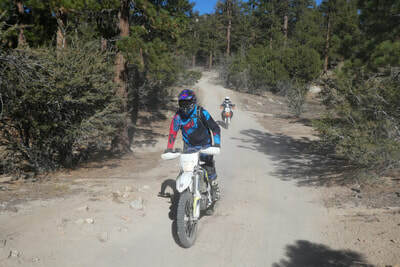 This is agreat ride to do in the summer. Check out the photos.